"The psychology program gives me the opportunity to think critically and look at a problem from a variety of different angles," said Brandi Fitts of Woodstock, Ga. "The faculty engage and open your mind to new ideas and concepts. My experiences in the program and with the faculty are preparing me for graduate school and my future career in psychology." Psychology is one of the top 10 majors for college students in the nation. Why? Because the Bachelor of Science (B.S.) 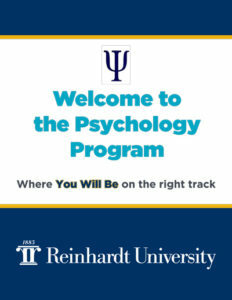 in Psychology program at Reinhardt provides you with research and internship opportunities, expert professors and mentors, and a strong foundation for success before and after graduation. The B.S. in Psychology prepares you for real-world experiences through practical applications. Psychology majors complete several research pieces - conducting interviews, reading and critiquing other research and becoming familiar with ethics. 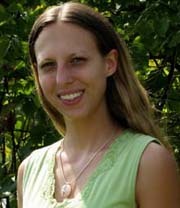 "Students don't become expert researchers," said Dr. Beth Russell, associate professor of psychology, "but they are a jump ahead of other colleges' psychology graduates." Internships give students the opportunity to get "hands-on" experience in the various psychology fields. Students have worked with autistic children, served in the local schools, and worked with the Department of Family and Children Services (DFCS). The benefit of a small school like Reinhardt is that your professors become your mentors. The psychology faculty is dedicated to empowering students and building their confidence for success. A high percentage of psychology graduates continue on to graduate schools like Emory University and Kennesaw State University, and most have jobs before or shortly after they graduate. Reinhardt psychology graduates have gone into fields including: medicine, law, business, nursing and forensics.